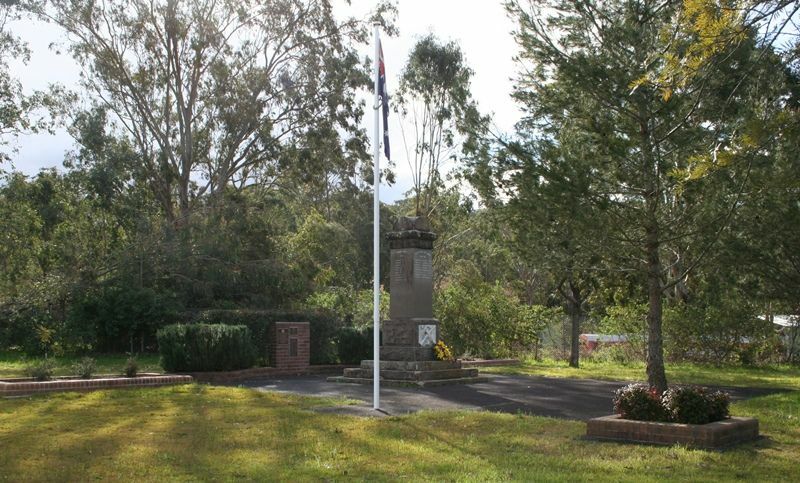 More than 375,000 men and women who served in the First World War (1914 - 18), including 58 who were born at Vacy, Martin`s Creek, and Paterson. Bushmen, farmers, graziers, stockmen, motor mechanics, postal officials, clerks, coppersmiths, horse-breakers, engine-drivers, dairymen, and nurses were among those from the area who responded to the call to enlist. Most were working locally when they volunteered. As soldiers they fought as sappers, gunners, signallers, drivers as well as infantrymen in all major campaigns, including Gallipoli, Palestine, and on the Western Front. Others served as troopers in the Australian Light Horse and the Camel Corps. Many were killed in action, with one decorated with the Military Cross for exceptional bravery. 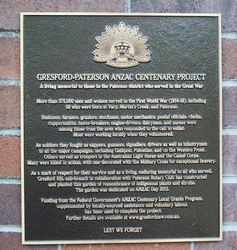 As a mark of respect for thier service and as a living, enduring memorial to all who served, Gresford RSL sub-branch in collaboration with Paterson Rotary Club has constructed and planted this garden of remembrance of indigenous plants and shrubs. The garden was dedicated on ANZAC Day 2015. 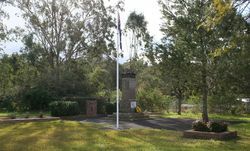 Funding for the Federal Government`s ANZAC Centenary Local Grants Program, supplemented by locally-sourced assistance and voluntary labout, has been used to complete the project.